Martin Vogt, who has been studying piano since the age of six. His interest in the production of hip-hop, dubstep and electronica began growing when he lived in Austria. 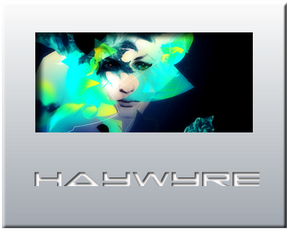 Shortly after moving back to the United States, in 2008, Haywyre was created. He is studying Music Business and has gotten a reasonable amount of attention for combining synthetic and organic elements in his compositions as well as providing a wide variety of music including glitch-hop, jazz, dubstep and more.